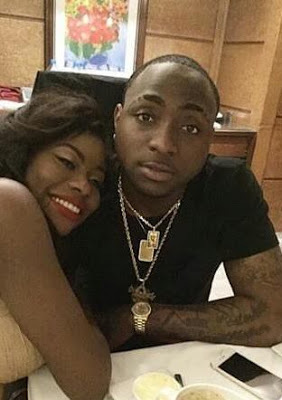 Music star, David Adeleke popularly known as Davido and his sister, Miss Ashely Coco Adeleke have been accused of child abduction. “After getting to the house on Baderinwa Alabi Street, Lekki Phase I, Lagos, our client’s baby was forcefully taken from her and she was thrown out of the premises with the threat that she would be decisively dealt with if she ever bothered to return there. There were armed policemen in the premises and our client’s survival instinct prevailed on her to make her leave her breast suckling baby behind, with so much pain in her heart,” the petition reads in part.According to a petition addressed to the Director General National Agency for the Prohibition of Trafficking in Persons and seen by Naij.com, Davido is accused of “attempted child trafficking and abduction of Miss Aurora Imade Adeleke”. A copy of the petition has also been sent to the President, Vice President, Lagos State Governor, the Inspector General of police, the director general of the DSS and the managing director of FAAN. Adeleke on July 11, 2015. Yesterday, Tuesday, 29 December, Ashley Coco Adeleke and her father, Mr Deji Adeleke reportedly tried to travel to Dubai with the baby but was stopped by Mrs. Modupe Mofikoya, an immigration officer who attended to the Adeleke travelling party. Ms Sophia said with the help of her family members, including Mr Dele Momodu, she determinedly resisted the attempt by Miss Ashley Coco Adeleke and her father, Mr Deji Adeleke, from taking her baby Aurora Imade Adeleke away from Lagos yesterday. “Our client believes that the pair are trying to take the child to America and thus put her out of the reach of the biological mother. At the moment, Miss Ashley Coco Adeleke and our client’s daughter, Aurora Imade Adeleke are still in Lagos and two of their respective international passports are in the custody of the airport immigration services. Our client’s fear now, is that Ashley Coco may use her Nigerian passport and Aurora Imade’s American passport to travel through other Nigerian or West African airports,” the petition added. 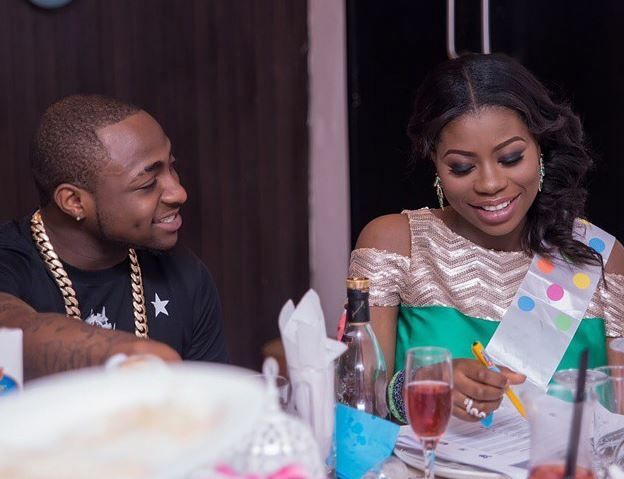 However, speaking with Naij’s reporter, Kamal Ajiboye, Davido’s manager, denied the allegations raised in the petition. “The baby was taken away from her due to induced drugs found in her (baby) system which she obviously got through the mother’s breast. David’s family is only helping her and the baby,” he said over the phone. “David’s family prevented him (David) from reporting her to the NDLEA and as we speak, the baby was recently treated in Dubai. The baby cannot even breathe properly. The family has done everything to take care of the mother and child. We rented an apartment for her and she gets three hundred thousand naira monthly as upkeep. What else will the family do? To be honest, no sane family will take a child away from the mother for no reason,” Kamal explained. Since July 2015, our client, who has now become so disorientated, saddened and confused has been going to family members, including her cousin, Mr Dele Momodu, and other well meaning Nigerians to intervene and allow her get her baby back or at least allow her to be able to have access to and care for her daughter. This was frustrated by Coco Adeleke, David Adeleke and their father, Mr. Adedeji Adeleke. These people boasted to our client and all her family and friends that our client is a nonentity and of little substance in Nigeria. They also claim that they have the financial wherewithal and political and security clout to deal with her and her family anyhow and without any consequence with the aid of their brother and uncle, Senator Isiaka Adeleke, and other friends Mr Deji Adeleke purportedly has in government. In a bid to justify their actions, Mr Deji Adeleke and his daughter, Ashley Coco Adeleke, have been spreading several malicious and unfounded allegations about our client. While the attempts at finding a peaceful and lasting solution were still ongoing, on Tuesday the 29th December 2015, Ashley Coco Adeleke and her father, Mr Deji Adeleke, tried to travel to Dubai with our client’s baby. The baby was meant to be flown out of the country with Nigerian and American passports. Prior to that date, our client and her cousin, Mr Dele Momodu, had gone to alert the immigration services at the Murtala Mohammed, Ikeja International airport of the likelihood of Ashley Coco Adeleke travelling with our client’s baby by pretending to be the Mother. Our client believes that her baby’s American passport was hidden and is now likely to be in possession of Mr Deji Adeleke or Ashley Coco Adeleke. It appears that the assistance of Emirates Airline was sought as the baby’s American passport was not produced in breach of aviation regulations. Neither was a letter of authority from the mother to confirm her consent to the trip produced despite the airline being alerted. We know that the actions of Mr Deji Adeleke and Miss Ashley Coco Adeleke contravene many provisions of the law. One is Section 13 of the Childs Right Law 2007 of Lagos State (as adapted from the Federal Act), which guarantees Aurora Imade Adeleke’s right to parental care and protection. That law also forbids separation of a child from her parents. Another is Section 24 of the same law, which also prohibits abduction of a child from the lawful custody of her parents. Neither Mr Deji Adeleke or Ms Ashley Coco Adeleke has any lawful right to the custody of Aurora Imade Adeleke. Even the unmarried father, Mr David Adedeji Adeleke, only has limited rights to the child and certainly not to the exclusion of our client, the natural mother as the Adelekes are trying to do.